Do you like to spend as much time as possible deep in the woods? Chop your own wood, or at least look like you do? Hang proudly and relax anywhere with this easy to hang, super packable parachute nylon hammock. Light weight and compressible, with super durable parachute nylon that won't let you down whether hiking, backpacking, at camp, in the backyard, beach, or park. Do you like to spend as much time as possible deep in the woods? Chop your own wood, or at least look like you do? 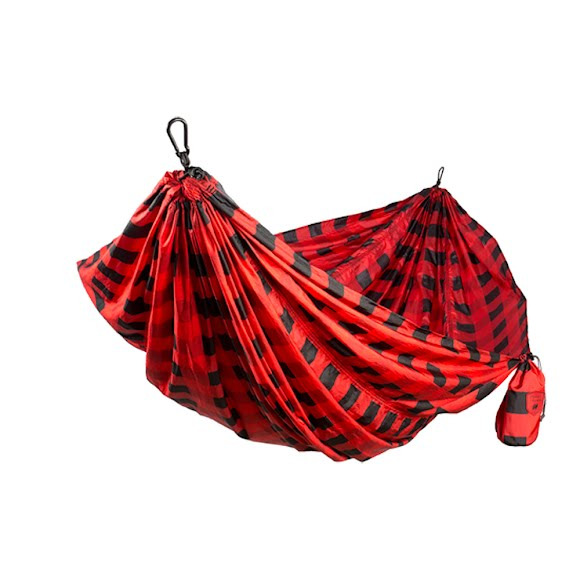 Hang proudly and relax anywhere with this easy to hang, super packable parachute nylon hammock. Light weight and compressible, with super durable parachute nylon that won&apos;t let you down whether hiking, backpacking, at camp, in the backyard, beach, or park.